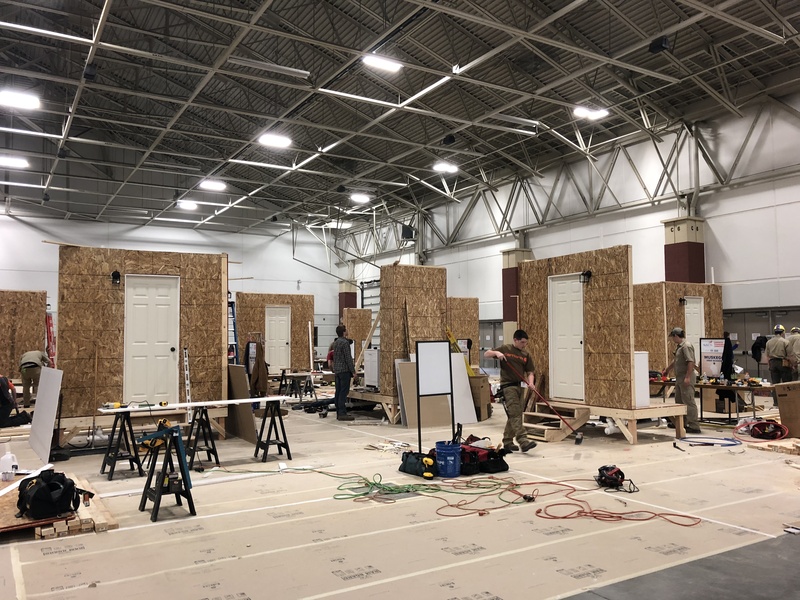 For the second year, Wisconsin’s SkillsUSA Carpentry TeamWorks competition is taking place at the NARI Milwaukee Spring Home Improvement Show! You are invited to check out the work of these impressive high school students, located in the south east corner of the Show. time frame! In addition to skills performance in residential carpentry, plumbing and electrical, teams are judged on cleanliness of jobsite, timeliness of completion, and proper inventorying of tools and equipment. SkillsUSA is an applied method of learning where students practice skills and build selfconfidence while helping their schools and communities. SkillsUSA provides experiences in leadership, teamwork, citizenship and character development. The program emphasizes high ethical standards, superior work skills, lifelong education and pride. SkillsUSA has approximately 150 school chapters in its Wisconsin Association. The Winner of this competiton moves on to the National Contest.